Our academy is a secondary school for ages 11-16. We are a comprehensive school open to applications from all young people from the local area. 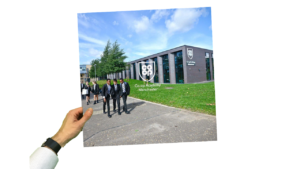 Although academies can control their own admissions policy, Co-op Academy Manchester’s governing body has agreed to follow the Manchester City Council admissions code. This means that applications for your child to start in Year 7 in September are made through Manchester City Council. Full information on the process is available at http://www.manchester.gov.uk/admissions. Mid-year applications are also made through Manchester City Council – please visit http://www.manchester.gov.uk/admissions. Manchester City Council publish details each year of the number of school places available, the admissions rules and how they will allocate places if we are oversubscribed. Please download the relevant document of admissions rules from their website. If you are thinking about our academy as your child’s secondary school, we suggest you read our prospectus and visit the academy. We hold an Open Evening in the autumn in which you will be able to see our facilities and meet our staff and students. Please find full information on Manchester City Council’s appeals guide – what to do if you do not get offered a place at your preferred school.